Protect your spare tire from damaging UV rays with the Cali Coastal Tire Cover for you Jeep Wrangler JL. This will help to prolong the life of your spare tire while giving it a flair of style. Made from a Vinyl material with a elastic band to secure it onto the spare tire. Also offering a built in plastic collar accommodating the rear view camera for a 32" spare tire (245/75R17 and 255/70R18). Custom Fitment & Style: Specifically designed for the factory 32" spare tire (245/75R17 and 255/70R18) with the backup camera. Offering a unique California Coastal Design to make your Jeep stand out. Quality Design: Offering the factory Mopar quality you expect and keeps your Jeep looking original with additional protection. Easy Installation: Simple stretch over design made for your Jeep Wrangler JL to be installed in seconds. 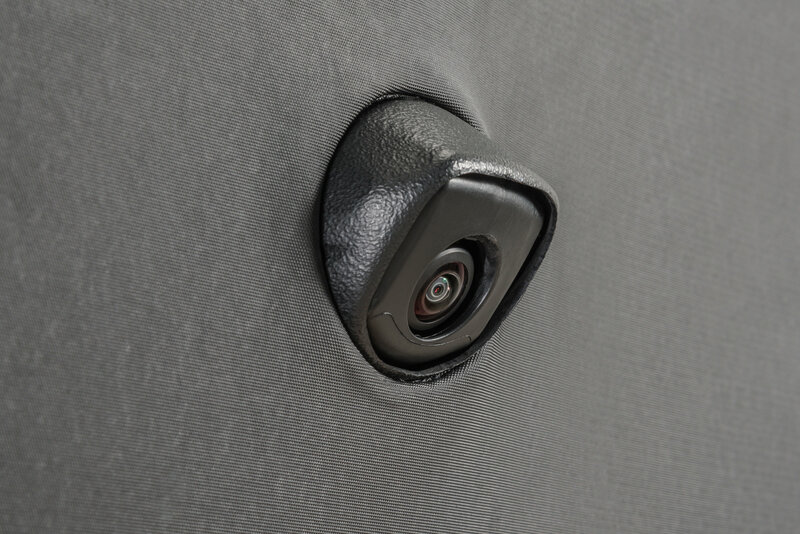 Compatible with factory rear view camera.